It blamed a $48m exceptional loss mainly consisting of staff restructuring costs. Singtel saw its profits plunge 77% to $667m in Q2 from $2.85b in 2017, whilst revenue remained flat at $4.27b, an announcement revealed. Overall, its H1 profits dropped 60% to $1.5b from $3.74b the previous year, the telco said. According to its financial statement, despite seeing gains which included $2b from the sale of units in its Netlink trust from the last corresponding quarter, a net exceptional loss of $48m in Q2 which primarily comprised of staff restructuring costs was to blame for large decrease in the Singtel’s profits. “Our industry continued to face various headwinds and intense competition,” Singtel’s CEO Chua Sock Koong explained. QoQ, profits in Q2 decreased 19.8% from Q1 which saw profits at $831.5m. Its revenue would have grown 3.9% in constant currency terms with higher equipment sales, the telco noted. Underlying net profits in Q2 also fell 21.8% to $715m from $915m during the same period in the previous year, which the firm blamed on lower contributions from Airtel and Telkomsel, as well as a stronger Singapore dollar against the regional and Australian currencies. 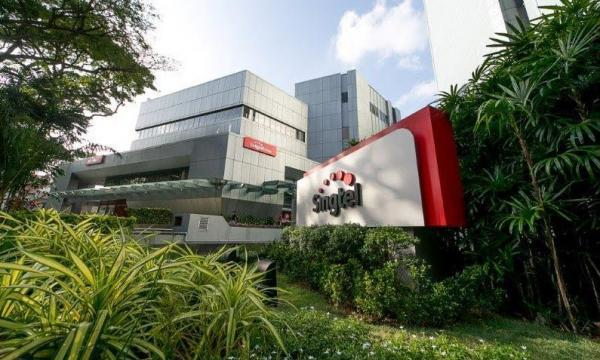 Singtel’s group enterprise segment also posted a 4.1% drop in operating revenue to $1.6b thanks to lower information communications technology (ICT) sales due to the lumpy nature of ICT deals which saw some major project completions last year. Consequently, earnings before interest, tax, depreciation and amortisation (EBITDA) fell 4.8%. However, in its regional associates’ markets, mobile data remained the key growth driver, the announcement stated. Strong performances from Philippines’ Globe and Airtel Africa mitigated lower contributions from Airtel India and Indonesia’s Telkomsel. “We remain positive about our regional associates which continue to benefit from the growing demand for data and have executed well against the challenges and competition,” Chua noted. In Singapore, consumer revenue rose 5% in Q2, whilst mobile revenue increased 7% thanks to strong equipment sales as premium handset launches were used to drive consumer purchases. Meanwhile, Singtel also added 41,000 postpaid mobile customers which is the strongest in the past six quarters. Singtel also launched VIA which is the region’s first cross-border mobile payment alliance with AIS and Thailand’s largest digital bank Kasikornbank in October, the telco added. The service enabled QR code-based mobile payment through e-wallets across Singapore and Thailand, and is projected to expand to other regional associates and non-telco partners.